Response: Representative Vicki Berger grew up in Salem, Oregon next door to her grandparents, who were also longtime residents of Salem. Berger expressed how this contributed to closeness with her grandparents. She then shared a personal story regarding her grandmother, May Steusloff and her grandmother’s sister Dorothy Steusloff. According to Berger, both women attended and graduated from Oregon State University. However, upon graduation there was no federal amendment guaranteeing women across the nation the right to vote, and there wouldn’t be for the next three years. Berger recalls being astonished that two college-educated women were not granted a federally guaranteed right to vote, though they were lucky enough to have gained the right in Oregon. Response: Representative Berger never saw herself becoming a politician. In our society, politicians have been given a bad reputation, which Berger believes is unfair “because we have to have politicians. It’s… like the lawyer thing, everybody likes to rank on lawyers, but you wouldn’t go into a courtroom without one … Politicians are a part of our democracy.” Berger cites her previously mentioned grandmother as a source of inspiration, but her mother, Kay Chambers, was a major influence on her decision to run for office. Having grown up in the 1950s in a traditional family with a working father and stay-at-home mother, Berger notes that it was a very authoritative era. Her mother however, was very vocal and active politically. When Berger was eleven, her mother ran for Marion County Commissioner as one of twelve candidates. It was a very different time for women in politics. When women ran for office it was generally for the seat previously held by their husbands. Berger notes that there were certainly some very courageous women running for office at the time, but it was “not the model.” As a result, when her mother placed sixth in the election, Berger was both self-conscious and very proud. In part from this experience, when it came to running for office there wasn’t an issue of gender. In addition, her father, Richard Chambers, was active as a citizen advocate in the Oregon State Legislature. Representative Berger noted that both sides of her family, mother and father, were key inspirational figures; her mother as a woman running for office and her father for introducing legislative experience as an option. Response: Representative Berger stated: “I think everybody should run for public office in the United States at some point.” She explained that running a campaign both gives a person a different perspective of American politics and helps the individual learn more about their own self and core values. Berger wishes there were more elections like the twelve-candidate election in which her mother ran, noting that her mother learned a great amount about herself even with a losing ballot. 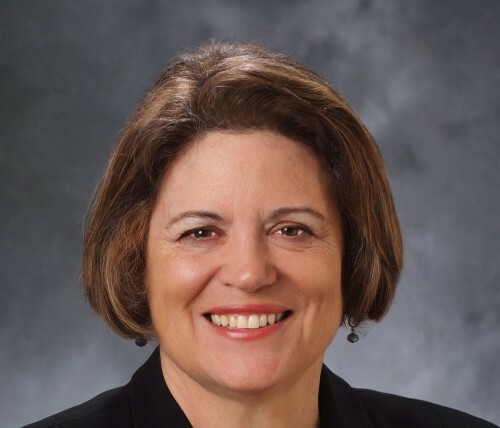 Representative Berger held her first political office as a school board member beginning in 1988 and served four years, after which she realized something was missing. While the job skills she learned were useful and her job was very important, Berger knew that she was missing out on her children’s lives and events, and they were missing her in turn. Berger then made the personal choice not to run for reelection. Berger names Washington D.C., as a “poster child” for this behavior. She is sure to note that those in D.C., are not stupid, nor do they refuse to compromise, but they have been “locked into these ideologic[al] cabinets” through the election process. Instead of it being possible for politicians to be open minded, they are trapped by “promises” or “commitments” to a particular issue, which reduces their ability to compromise and collaborate. Recognizing that there is no easy solution to this problem, Berger cautions the electorate to reassess how they think of sound-bytes they may read or hear on the news, and look into the character of a politician rather than basing all judgment on a single policy position, and be wary of affirming media that seeks to take place of thoughtful dialogue. Berger noted that it is a dangerous time for American democracy for both men and women. We haven’t come to terms with how advances in technology have changed both how our traditional democratic process functions and how it is viewed by society. Q: In the past you ran against Jeanne Deane and Connie Garcia. Was it different running against a woman candidate rather than a male candidate? Response: Representative Berger reiterated that she believes everyone should run for office at some point and expressed her appreciation of the willingness of Jeanne Deane and Connie Garcia to take on an incumbent and run for office. As for noticing any difference regarding campaigning against male or female candidates, Berger did not think it made any difference. She explained that campaigning is not so much about beating a specific person, but rather an opportunity to stand up and present her own views and accomplishments. Berger did mention this on the topic of Deane’s and Garcia’s respective campaigns as well as gender differences in male versus female candidates: “For me, it’s great: two woman candidates, [be]cause I like more women candidates. But as individuals, or as components in an election, [I] don’t see it [gender] as particularly distinguishing. Q: Do you have any other comments you would like to share? It was a pleasure interviewing Representative Vicki Berger. She was welcoming and well-spoken and provided us with strong information about what inspired her to become a candidate and office holder.